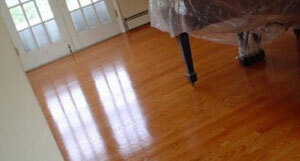 "Thank you so much for the beautiful job on our hardwood floors in our new home. We were favorably impressed not only with the workmanship, but also with the professionalism of your staff. We also appreciate your patience with answering all of our questions." 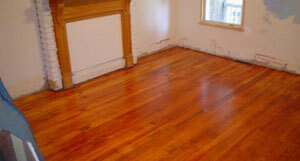 Do you need a Hardwood Floor Contractor? Let Floor Medic take care of your hardwood installation and restoration floor needs in the Delaware, Maryland, Virginia and Washington DC areas. Locally owned and operated in the middle of the Baltimore and Washington DC Metropolitan area in Columbia Maryland, Floor Medic specializes in more difficult to accomplish tasks of restoring classic wood floors from the past. In addition to restoring antique hardwood floors, other services include installation of new hardwood floors, add-ons to existing hardwood floors, repair and refinishing of standard hardwood floors. Refinishing - Sanding and Finishing! Custom work - Tell us what you have in mind! Stairs & Handrails - The centerpiece of many homes! Repair and Restoration - Water or termite damage? No problem! Dustless Sanding and Refinishing - We use the most current technology available to keep the dust as minimal as possible! We look forward to working with you on your next flooring project! Please feel free to contact us with any questions you may have about our flooring services.